It claimed these subsidies helped the firm win a major order. In 2016, Boeing won a contract to supply 50 Apache helicopters to the Army. 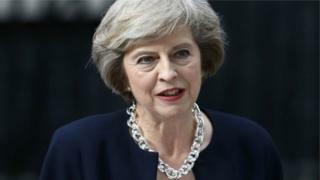 Prime Minister Theresa May has said the UK’s long-term partnership with Boeing was being undermined by its behaviour towards Bombardier. Mrs May said Boeing’s behaviour was no way to operate in terms of such a long-term partnership. 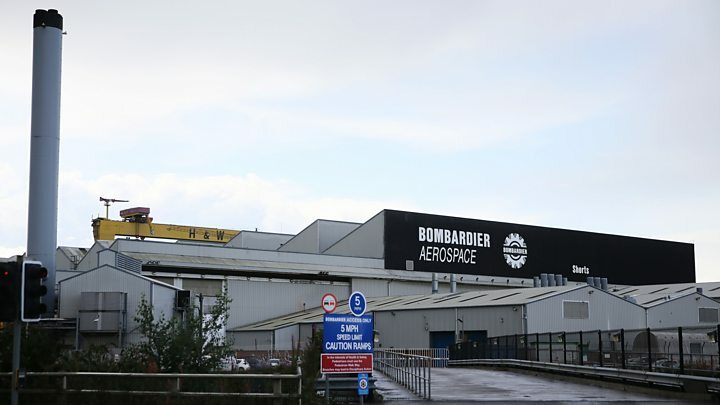 She said the preliminary judgement over Bombardier would cause uncertainty and that the government was doing everything it could to protect jobs in Northern Ireland. The prime minister said she had spoken to DUP leader Arlene Foster and Sinn Féin’s Michelle O’Neill, and would be working with them both. Mrs May said she had spoken to US President Donald Trump “more than once” about the issue, as well as raising it during their recent meeting at the United Nations General Assembly in New York. 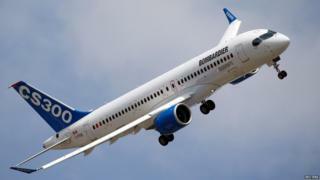 Meanwhile, Bombardier said it would fight the “absurd” ruling. The firm is one of Northern Ireland’s biggest employers. 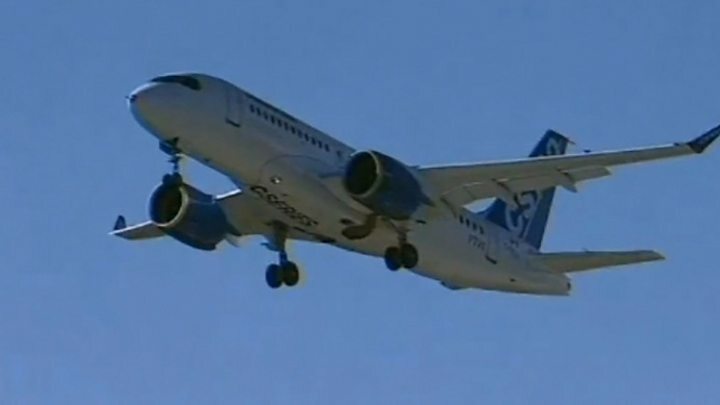 “The evidence we have to rely on is evidence not coming from Bombardier but evidence being proposed by Boeing and other outside parties,” he said. 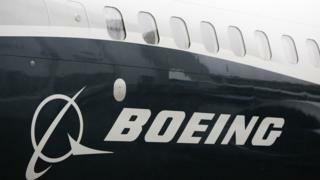 Analysts say that the ruling will increase tensions between the US government and Canada and the UK, both countries have deals to supply military aircraft worth billions of dollars with Boeing. The UK government and Northern Ireland Executive pledged to invest almost £135m in the establishment of the C-Series manufacturing site. The programme received £750m from Quebec’s provincial government in 2015 when its fortunes appeared to be ailing. 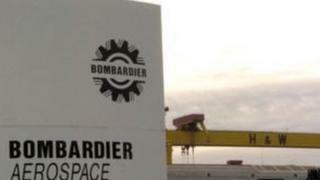 On Wednesday, Quebec Premier Philippe Couillard called the tariffs “unfair” and an attack on the Canadian province where Bombardier has its headquarters and employs more than 17,000 people. “Quebec has been attacked. And Quebec will resist,” he told journalists, adding that that Quebec remained committed to manufacturing the C-Series. “Boeing may have won the battle but the war is far from over,” he said. In 2016, Quebec invested US$1bn in the passenger jet. 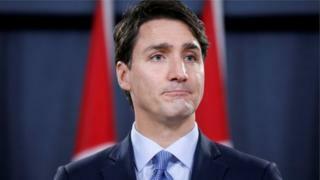 Canadian Prime Minister Justin Trudeau has threatened to cancel the purchase of 18 Boeing Super Hornet jet fighters from the US in retaliation. Foreign Affairs Minister Chrystia Freeland said on Tuesday that the government was disappointed in the decision. The International Association of Machinists and Aerospace Workers – a machinists union – called the countervailing duty “a protectionist and dangerous measure for the stability of the aerospace industry”. In Northern Ireland, CBI director Angela McGowan said the ruling put an important driver of Northern Ireland’s economic growth at risk. Northern Ireland has effectively been without a devolved government for nine months, and Ms McGowan said the situation reinforced the need for a return of a power-sharing executive. “With jobs and future prosperity in the region being put at risk by decisions made far away from Belfast, we need a devolved government that can speak up for and champion the needs of the local workers and businesses most affected,” she said.